DIGITAL-payment facilitator PayPal has teamed up with two solutions providers to equip more than 200 food-and-beverage (F&B) establishments with in-store digital payment capability by next year. TabSquare and Integral Solutions will help PayPal roll out a system under which customers in these outlets may call for the bill using the restaurant's e-ordering tablet. A message is next sent to their mobile phones requesting payment through their preferred method, including PayPal; customers therefore pay their bills securely on their personal devices. PayPal said that this cuts down the time it would otherwise take for consumers to ask for the bill and make payment at the end of their meal; it also means that F&B operators can raise their productivity and deliver a better experience for their customers - despite needing to hire fewer hands. This programme is part of the PayPal Innovation Lab launched on Wednesday. The lab is a collaboration uniting PayPal and Singapore's government agencies, industry associations, small and medium-sized enterprises (SMEs), startups and universities; it aims to foster innovation, research and development (R&D) and entrepreneurship. 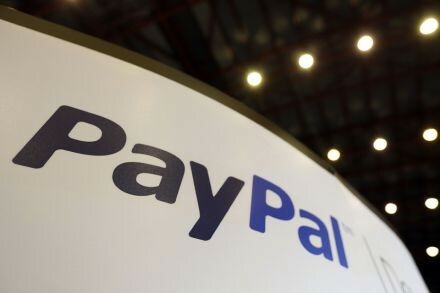 A PayPal spokesman said that the company wants to help SMEs move into mobile and digital commerce; through the lab's seminars and partnerships with local solutions providers, SMEs can learn about and integrate e-commerce and digital payment systems into their operations. Aside from working with SMEs and local payment-solutions providers, PayPal will also team up with institutes of higher learning on R&D to nurture Singapore's next generation of financial-technology (fintech) talents who are capable of coming up with innovations, the spokesman said. Over the next few years, Masters and PhD students from schools including the National University of Singapore, Nanyang Technological University and Singapore Management University will work with PayPal to do research on fintech topics such as infocomm security, data mining, artificial intelligence and predictive analytics. Students will have access to PayPal's best talents, resources and experience to design the next generation of payment systems, the spokesman said. Last month, PayPal launched a fintech startup incubation programme under the aegis of the innovation lab. The PayPal incubator now hosts three startups - blockchain wallet ONEPAY, e-commerce solution Prosecure.me and invoice finance marketplace InvoiceInterchange. The nine-month programme offers opportunities, including coaching and mentorship by PayPal executives and various subject-matter specialists; it also includes networking opportunities through PayPal's network and venture-capital connections. Rohan Mahadevan, senior vice-president for PayPal Asia-Pacific, said: "By locating the PayPal Innovation Lab in Singapore, we are demonstrating our commitment to partnering with this country for the Future of Money." Thien Kwee Eng, assistant managing director at the Singapore Economic Development Board (EDB), said that the organisation was working to catalyse co-innovation partnerships between multinationals, SMEs and startups in Singapore. "We also hope digital-payment companies like PayPal will leverage Singapore's digital infrastructure and talent to grow their businesses and partner our locally-based SMEs in enhancing their competitiveness." Delivering the keynote address at the launch of the innovation lab, Minister for Trade and Industry (Industry) S Iswaran said that such labs are an important aspect of Singapore's drive to be at the heart of the global digital economy - a significant and growing part of the global economy which runs on digital technologies to produce goods and services and to drive productivity and growth. "The global digital economy is already today's reality, with cloud computing, social media and the Internet of Things (IoT) playing, more than ever before, a significant role in our lives."